The ASUS ZenFone 4 Selfie Pro was one of the key smartphones revealed at the ASUS “We Love Photo” event in Taipei. In fact, it is the top-of-the-line model in their Selfie line of smartphones, with two selfie cameras – one of which is capable of taking 24 MP photos! 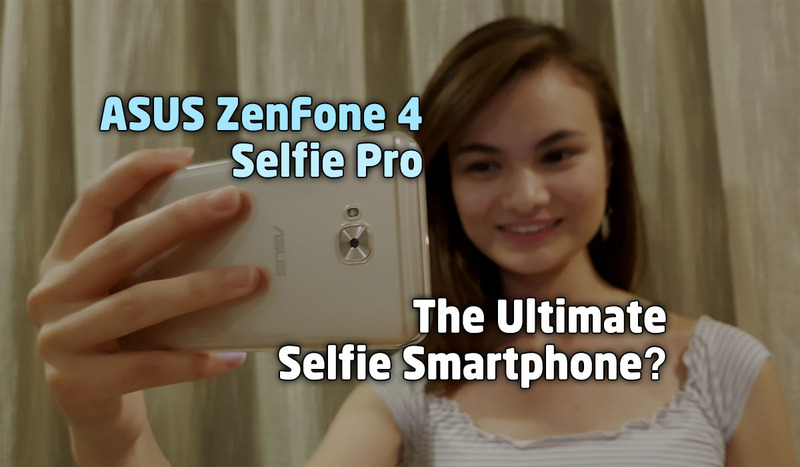 Let’s take a close look at the new ASUS ZenFone 4 Selfie (ZD552KL) smartphone, and see if this is the ultimate selfie smartphone! Updated @ 2017-10-24 : Added a selfie video comparing the viewing angle and video recording quality of the two selfie cameras. Made various other updates and minor corrections to the review. The ASUS ZenFone 4 Selfie Pro (Price Check) comes in a white cardboard box with a sleeve cover. As it comes in three colour options (at launch), you should check for the correct colour using the helpful colour sticker at the lower right corner of the sleeve’s back. Next : AMD Radeon RX Vega 64 – Future-Proofed 1440p Gaming!